How will AI impact the project management industry? Our guest post by Aniruddha Parmar looks at the potential uses of AI in managing projects and making decisions. This is a guest post by Aniruddh of SoftwareSuggest.com. Aniruddh shares some insight on how AI can potentially change the way project managers work. Gartner predicts that by 2020, Artificial Intelligence will have wiped out 1.8 million jobs. However, it would also be responsible for the creation of 2.3 million new jobs. Meaning that in effect, the rise of AI would create more jobs than it would eliminate. Now that we’ve dispelled one of the biggest myths surrounding Artificial Intelligence, we can move on to how it can bring positive change in businesses, specifically with regard to Project Management. Artificial Intelligence has the capability to bring about a remarkable transformation in project management. Some of these may seem like minuscule, routine improvements, but they accumulate over time to enhance the overall long-term efficiency of project management for businesses looking to adopt AI. 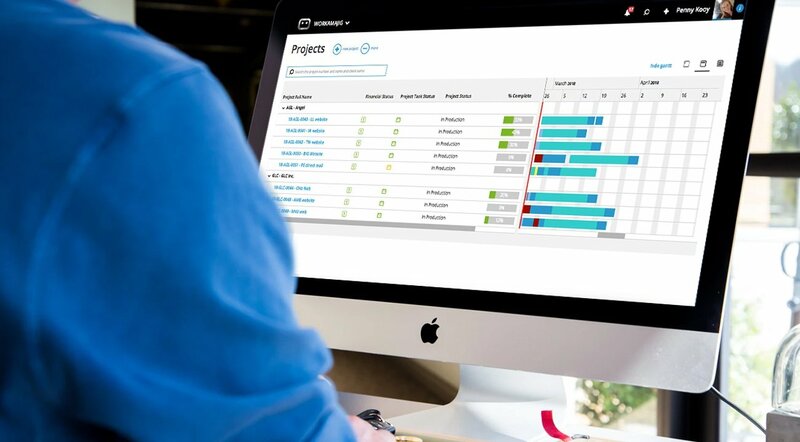 An increasing number of businesses are looking for project management software with AI capabilities for this exact reason. It’s the future, and it never hurts to be prepared for it. One might think that incorporating a sophisticated AI-powered project management software in their business might not be such a great idea, cost-wise. But, the potential savings that can be attributed to the proper utilization of AI far outweigh its cost. To begin with, AI can streamline and automate many a repetitive task, allowing both project managers and team members to focus on the more complex activities involved in the project. It increases the quality of work while reducing the cost of labor. 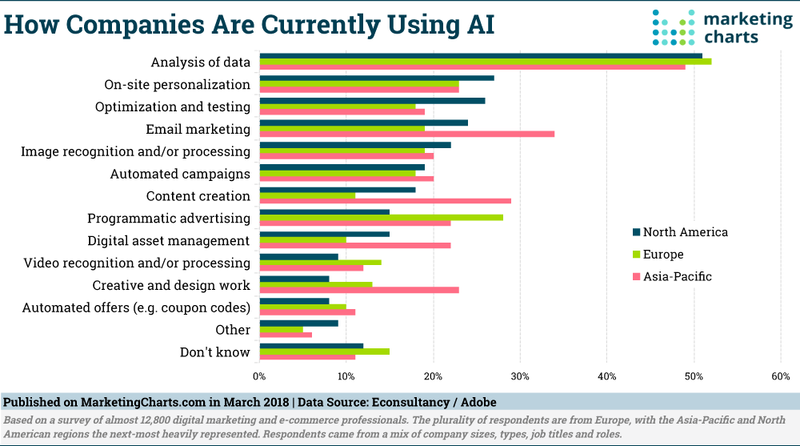 In general, cost reduction seems to be a big reason for AI adoption. 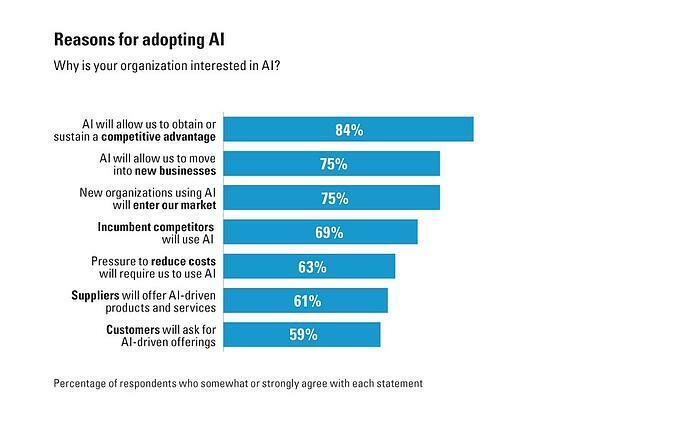 In one MIT Sloan survey, 63% of respondents cited it as the top reason for their interest in AI. Automation and integration are obviously just the baselines when it comes to Artificial Intelligence, but they are the most prominent functions we have come to experience so far. It’s a positive indication of the enormous cost benefits that advanced AI can bring to the table. When people think AI or machine learning in project management, this is typically what they’re thinking of. For instance, the AI startup, Black Swan, has helped predict everything ranging from toy sales for Disneyland to when the cold and flu season will hit for A&E departments. In project management, predictive analytics through AI involves combing through the specifics of past projects to find out what worked and what didn’t. On the basis of such information, the AI can “predict” a given project’s future, and improve its visibility for project teams and managers. It gives them warnings if a project is going off the track with respect to budget or time, and can give intelligent advice on scheduling, budgeting, potential risks, etc. This function can be a lifesaver for new project managers/team members who might be unfamiliar with the projects previously undertaken by a company. Even if that is not the case, predictive analytics enhance decision-making for the users of project management tools equipped with AI. Other than automation, one of the most prominent functions of AI in project management is to provide actionable insights into the project by sorting through and collating data from an array of sources. AI is capable of finding connections in data that would not be visible to even the most trained human eye. Of course, using these insights in a way that benefits or enhances the project is the task of the project manager and his team. Nevertheless, AI can provide actionable insights into a multitude of aspects relating to the project, allowing project teams to get around complicated problems. AI does the job of structuring the data, finding its patterns and inconsistencies, if any. This allows it to harness insights from even the most dense masses of data and transforming it into something that project teams can use to better their project processes. An Accenture study found that managers across the frontline, mid-level and executive-level spent 54% of their time on administrative tasks. However, with the help of AI, they expect it to take up only 25% of their time. When the bulk of the administrative tasks are passed on to AI, project managers have more time and energy to focus on real work. They can add value to the project with their unique interpersonal and judgement skills, which will become even more important as AI becomes prevalent in business. The fact remains that no software or line of code could ever replace a human being’s empathy and judgement. As AI and its applications in project management software grow more prominent, the project manager’s role in innovation, strategy, motivation, and judgement in general will come to the forefront. Think of it as software assisted management. AI is much better at performing a repetitive and mundane task than a human being is. This allows for better administrative control and also enhanced visibility in projects that require it. Say, a construction project is using a project management software which has AI capabilities. In its absence, if a person were in charge of overseeing maintenance of heavy equipment or its performance, there always remains the possibility of error in his deductions, which could easily lead to workplace accidents. On the other hand, the software will be able to ascertain risks that a person might not even be able to see. And such risks can subsequently be nullified as soon as they are detected. AI enhances visibility for projects across the spectrum, which enables detection of risks early on so they can be tackled before they pose a threat to the completion or quality of the project. For example, Stratejos, a “smart project assistant” integrates and collects data from various communication and project management tools. It uses this data to identify if a particular project is going to run into trouble, and the preventive measures that can be taken for the same. Here are some smart project management tools that your business can make use of in order to give their project teams an added boost of productivity. Artificial Intelligence is poised to bring some pivotal changes and become an integral part of project management systems in the years to come. Project teams and managers would both do well to acquaint themselves with emerging AI-equipped project management solutions. Sooner or later, they will have to make the switch to an AI-powered solution, so why not now? Being a relatively early adopter of such innovative tech is not an opportunity that should be missed, especially if there’s so much productivity, efficiency, and cost reduction to be gained. Aniruddh is Blogger and Digital Marketing Specialist at SoftwareSuggest. Loves to dig deep into various Project Management Software, HRMS systems and Applicant Tracking System and Attendance Management System. Ready to grab a cup of coffee anytime, if you want to talk about tech, cars, businesses or cricket.